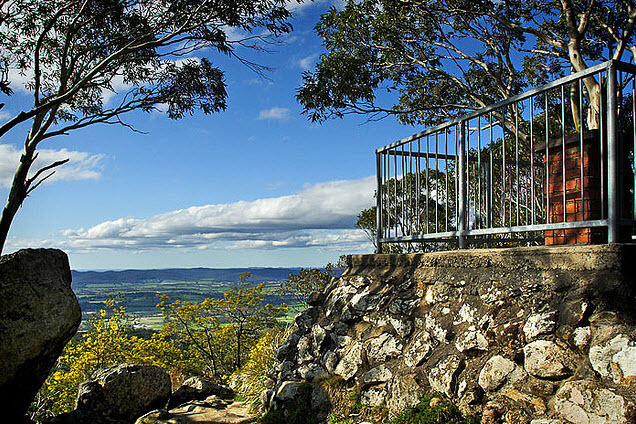 The Camels Hump is the highest point in the Macedon Ranges, with a lookout offering visitors spectacular views. This is one of three local rocky outcrops formed by volcanic action millions of years ago. The Camels Hump is located near the start of Cameron Drive. Several walking tracks depart from the Camels Hump car park, with the most scenic being the steep 500 metre path that ascends to the peak. 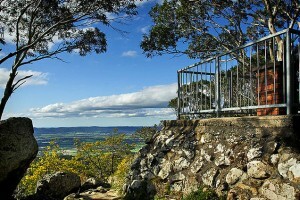 The viewing platform at the peak offers panoramic views to the north and west.